Telephones, Answering Machines, Caller ID and Telephone Equipment. 2Wire DSL Filter, LTF 4-2. 2 Wire DSL Filters. New. 2Wire LFT-4-1-GB For Single-Line Phones. New. Adirondack AWC-7200-25-W Telephone Wire Cable. Adirondack Wire Cable. New. 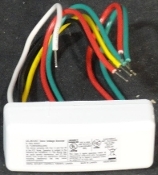 Aiphone PS-1225 DC Power Supply. New. 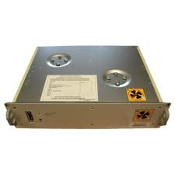 Alcatel Lucent 3EM-07246-AAAA Rack Server. New. Alcatel Lucent KS-24563. L3 Blower Fan. New. 848572095. 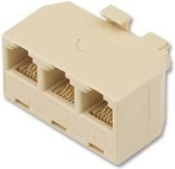 Alcatel-Lucent 9 Connector Wiring Bracket. New. Android Soft Bag Case For 7" Tablet. New. 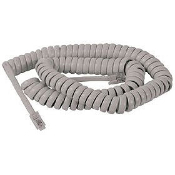 Artistictp 25 Foot Coiled Handset Telephone Cord. Model: 21016. AT&T 15965 Black 12' Handset Phone Cord. New. AT&T 24099 Headset. Black. 2.5mm Plug. New. AT&T 436 Caller ID and Call Waiting Machine. New. AT&T BIS 10 Black Business Telephone. 10 Buttons. 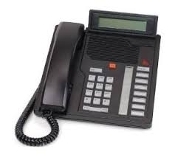 AT&T BIS 34 Black Business Telephone. AT&T Merlin BIS 34D phone has 34 raised line indicators AT&T Merlin Mail Release 2.02. Model: MM04. Avaya 1151B1 Power Supply. New. 1151B1-001. Belkin F8V106-WH 2 Way Splitter. White. New. 722868244197. Bell Phones DC Charger. DV-1220. Refurbished. Blackberry 843163004207. Blackberry 8700c. Used. BlackBerry HDW-12420-001 Black In-Ear Only Headset. New. (27) Broadband Products 51-64BF81 RJ11/F81 Wall Plate. Broadband Products. 51-641. Single Flush Wall Jack. Cisco 7960 IP Phone. Refurbished. 6 Lines. 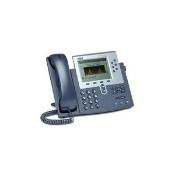 Cisco IP Phone CP-7910. 1 Line. New. 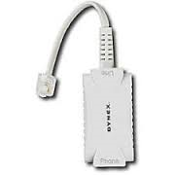 Cisco PAP2 Phone Adapter for Vonage Internet Phone Service. 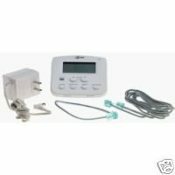 Clear Voice Adapter Linksys SPA2102-SF. Cisco. New. 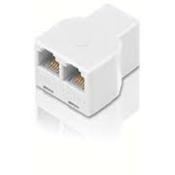 Cooper Wiring Devices 5547-3EW CAT 3 RJ11. New. White. DB15 Female to RJ11 Connector. New. DSC GS-Boost Telco Voltage Booster. New. (27) Dynex DX-NDSL2 In line phone DSL Filter. New. ADSL. POTS Filter. Emerson Switchboard. As Seen on TV! 682676200306. New. GAI-Tronics 255 Series Weatherproof Telephone Enclosure. Gai-Tronics 702A Enclosure. 7245-002. New. Gai-Tronics 702A Enclosure. New. Gai-Tronics 702A Enclosure. New. 7245-001. Gai-Tronics 702A Enclosure. New. No. 652B. Gai-Tronics 702A Enclosure. New. No. 652B. 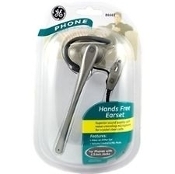 GE 86661 Hands Free Headset for Phones with 2.5mm Jacks. HP 8121-0811 RJ11, 2 Way, 2 Connectors, Black. New. HP Compaq 112666-008 RJ11. 7 Ft. Black. Modem Cable. HP Q3093-80004 2-Wire Phone Cord Adapter. New. ICC Ivory 2 Ports. New. LR84410-9M. OEM. 2 Port. RJ11. Ideal MP6P4C RJ-11 Modular Plugs. 500 Count. New. 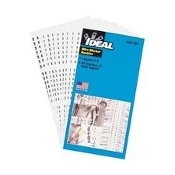 Ideal Wire Markers. 44-102. New. (W25) Just Drop 202180 RJ-11 Coaxial Wall Plate. Ivory. New. Just Drop JD-2050B Ivory 1 Port Surface Mount Housing. Kensington 33050 Modem Cord. 8 Foot Retractable Cord. 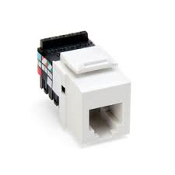 Leviton Quickport Voice Grade Jack. R03-41106-A. Meridian Display Phone NT9K08AD03 M2008HF. Refurbished. Microtel Caller ID. Used. Model: 134. Minebea NMB-MAT Fan With Blades. 225R103D0801. 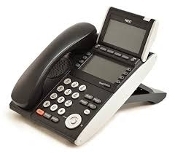 Mitel Superset 4001. 9132-001-200-NA. New. Motorola Atrix 4G Entertainment Center. Webtop Access Kit. 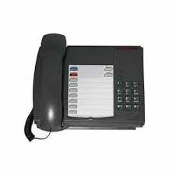 NEC IP3NA-12TXH Black Telephone. Working Pull. PAC TEC 616-62006-510-039 Encloser. New. Philips 3 Line Telephone Wall Jack, New. Philips SDJ6050/17 3 Way Phone Wall Jack. Ivory. New. Philips SDJ6360W/17 2 Way Phone Splitter. 6 Wire. 609585134034. Philips SWL4165/17 25' Black Telephone Handset Cord. New. Philips SWL6173W/17 50' Fineline Cord. New. Flat Cord. Polycom 1465-42740-003 Switching Power Supply. OEM. Retractable Modem 88802 Data Port Cord. 8 Feet. New. RJ-11. Royal Premium Car Charger. 930523205238, Samsung SGH-c417 Cell Phone. Used. Samsung TAD037JBE Home Charger. Refurbished. SBC S861037 Wall Plate for Phone and Computer Connection. SBC SB0649. 7' Black Telephone/Modem Line with Connectors. SBC SB0688 25' Phone or Modem Line. Almond. New. Siemon 100.2494 Telephone Clips. New. 19 Count. SmartGuard SG-3-PK-US Pepper Spray Case. New. Sprint 475655 Phone, 701-000-0009. Used. Working Pull, Sprint 476492 Phone, 110055FEA-H-Bus. Used. Working Pull, Suttle SE-2-2021-52 RJ-11 Coaxial Port. Ivory. New. Telephone 21061 Shoulder Rest. Ivory. 030615210617 Telephone Recording Control. 43-228A. New. V2D 213836 White RJ-11 Wall Plate. New. V2D 213838 White 2 Port RJ-11 Wall Plate. New. V2D 702566 RJ-11 Wall Plate Box. Ivory. New. 2 Port. V2D VWNM1J50MWH RJ-11 1 Port Wall Plate. New. White. 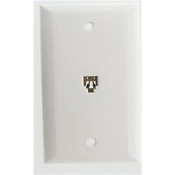 V2D VWNM2J50Ml Ivory 2 Port RJ-11 Wall Plate. New. Zenith EZ Hang up. STOPS Unwanted Telemarketing Calls. Zenith EZ Hang up. STOPS Unwanted Telemarketing Calls.